On March 8, 2013, The U.S. Citizenship and Immigration Services (USCIS) published a revised Employment Eligibility Verification Form I-9. All employers will need to complete a Form I-9 for each employee hired in the United States. First, improvements to Form I-9 include new fields, reformatting to reduce errors, and clearer instructions to both employees and employers. The Department of Homeland Security has published a Notice in the Federal Register informing employers of the new Form I-9. 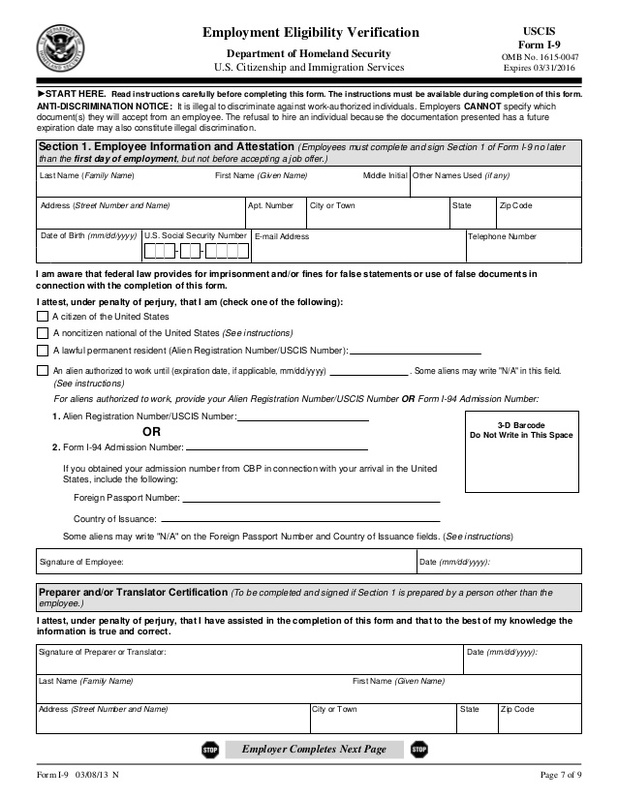 Should begin using the newly revised Form I-9 (Rev. 03/08/13)N for all new hires and re-verifications. May continue to use previously accepted revisions (Rev.02/02/09)N and (Rev. 08/07/09) Y until May 7, 2013. Will have a 60-day grace period, until May 7, 2013, to comply by using the new form. Should not complete a new Form I-9 for current employees if a properly completed Form I-9 is already on file. U.S. territories may use the Spanish version for reference but must complete the English version of the form. Justifacts has developed a paperless, electronic I-9 system that creates and stores the Form I-9. As an Employer Agent for E-verify, Justifacts processes E-Verify requests for registered employers. When used together, the electronic I-9 system and E-Verify agent access allow employers a fast, accurate method for verifying the work eligibility of all newly hired employees.